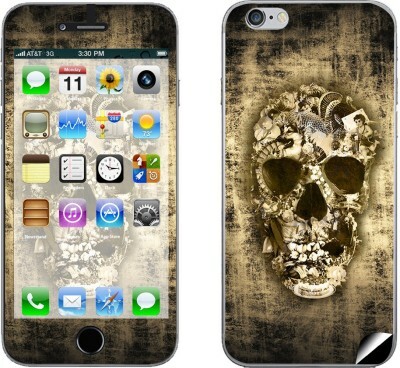 Get great discount on Skintice SKIN36628 Apple iPhone 6 Plus Mobile Skin | Online India shopping best deals, discount,coupons,Free offers. Skintice Designer Skin Sticker for Multicoloured. Designed for direct application on your device for an Awesome Makeover without adding any Bulk. Made from Premium Hi-Res printed premium Vinyl. Clean residue-free removal..The product Skintice SKIN36628 Apple iPhone 6 Plus Mobile Skin is from the famous brand Skintice. The product is currently available with the amazing discount from FlipKart.Currently a discount of 22.0% available for this product. Great discount for this product which has the original price of Rs.449.0 and you get these amazing products for a discounted price of Rs.349.0. Hurry up. Stock may be limited.